For the past seven years, I had longed for the opportunity to pore through a bank box of half dollars to look for old and valuable coins. 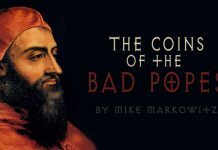 I’ve heard and read the stories for years about fellow collectors who had found silver half dollars, Franklin and Walking Liberty halves, proofs, varieties, errors, and more among rolls of half dollars. Until recently, I never had a “spare” $500 to buy a box of 50 half dollar rolls, each containing 20 half dollars ($10 face). The first half dollar roll I ever looked through as a coin collector came in 1993, when I was 12 years old. 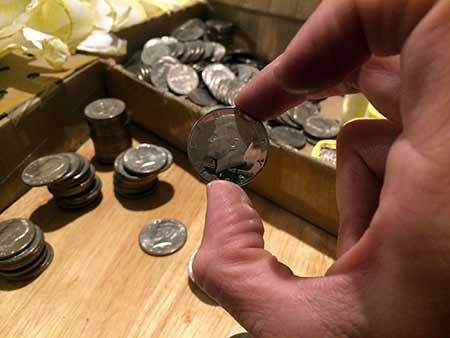 I had only recently read about fellow collectors finding old silver half dollars among rolls. I found a bunch of high-mintage 1971, ’72, ’74, and 1776-1976 Bicentennial half dollars in that first roll and a couple of pieces from the 1980s but no silver. My fortunes changed for the better in 2009 upon my second half dollar roll hunt. That’s when I found three 1964 Kennedy half dollars (which have a 90 percent silver composition) and seven 40 percent silver halves among five standalone rolls I searched from random banks. Had I more money, I would’ve bought more rolls then, but at that point I was trying to wrap up my bachelor’s degree and was too strapped for cash to keep temporarily pulling money from my checking or then-meager savings to gamble on looking for silver half dollars. In 2016, my financial picture finally changed to the point that I could finagle $1,000 to buy not just one but two boxes of half dollars. And so I did. 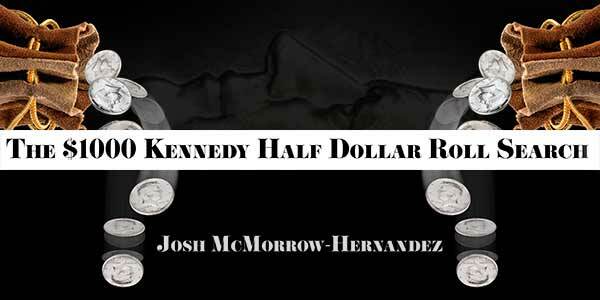 As is the case at virtually every bank in the United States these days, finding a quantity of half dollars is harder than finding a 1982 no-FG Kennedy 50c. Well, not really – but you get the picture. 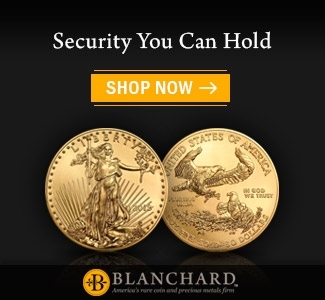 You might walk in to your local bank and find out they’ve “got a few” half dollars on hand, maybe some collecting dust at the bottom of a teller’s till, or perhaps a token roll or two sitting in a vault. But finding a box of half dollars? Two boxes? That usually requires a special request slip to fulfill. It’s “we need to order these for you – they’ll be here next week” territory. I learned a week after phoning in my order that Loomis, the well-known cash handling company, had facilitated my special order of half dollars. I was told to come by and pick them up. So I came by. I ended up at the teller window staffed by a young woman who seemed inquisitive about my admittedly unusual bank order. “I’m a coin journalist writing a story about the types of old and valuable coins I might find in boxes of half dollars,” I casually explained. “Oh, that’s cool,” she replied, seeming a little less at ease with the guy who just ordered 2,000 half dollars for no apparent reason – other than possibly laundering money at the local casino or whatever other odd things people do with huge amounts of unusual coins. The teller took my $1,000 in $20s and proceeded to a back office where she retrieved the boxes. 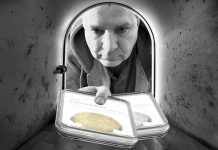 She labored to carry out the two thin boxes filled with half dollar rolls, which she delivered to her teller station one at a time. Each box is about the length and width of a quarter sheet cake and weighs about 25 pounds – a rather awkward load for anybody to heft. I closed the transaction with a signature on a withdrawal slip and carried the two boxes to my car. I placed them in the back seat and drove the 50 pounds of precious cargo home. 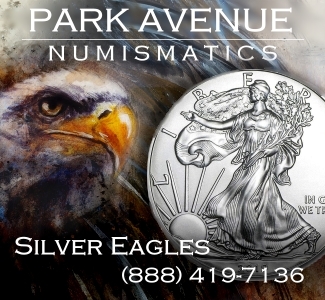 I’m a diehard numismatist who is drawn to numismatic things: old coins, unusual varieties and neat errors. But I’ll admit, I was really hoping to find lots and lots of silver. Remembering my earlier half dollar roll searching experience in 2009, perhaps my optimism on that front can be understood. So, with silver-lined memories of my previous encounter to inspire me, I broke into Box One, surely to find at least a few silver half dollars lurking in there somewhere. I was happy when the first roll yielded a 1987-S Proof half dollar, and further intrigued when a 1980-S Proof and a 1985-S Proof fell into my hands by the time I tore open the yellow wrapper on the 10th roll. But as the evening wore on, things weren’t looking so silverlicious. I did wind up with three Proofs, a 1987-D Kennedy half, and a half-dozen or so collectors-only Kennedy halves made after 2001, the last year the denomination was produced for general circulation. Would the second box be kinder to me the next morning? Maybe. After I had gotten 30 rolls into Box Two, I finally stumbled upon my first and, as it turned out, only silver coin of the two-box lot. A streaky-surfaced 1967 Kennedy half dollar I graded Extremely Fine-40. The only other interesting finds from Box Two were a few more post-2001 Kennedy half dollars and a 1980 Kennedy half dollar with a post-mint counterstamped image of Abraham Lincoln’s profile – surely a coin that was once the centerpiece of a Lincoln-Kennedy “strange coincidences” novelty coin display. Oh, and if you don’t know about all of the eerie coincidences that link the two assassinated presidents, then I urge you to do some research. 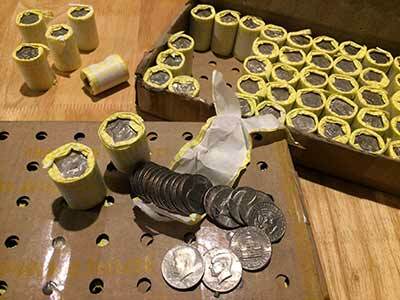 At any rate, after 100 rolls and 2,000 half dollars, there were no silver coins, no varieties, no errors. 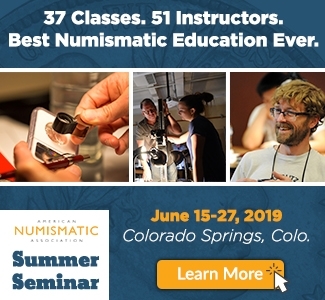 Does this mean half dollar roll searching has little benefit to silver hoarders or collectors who are looking for some neat finds at face value? I submit that the answer is “no”, because my unscientific sample of two Kennedy half dollar boxes surely doesn’t represent the opportunities that await in the thousands of other half dollar boxes stacked deep in bank vaults around the United States. There’s plenty of hope for other aspiring half dollar roll searchers out there. So, what exactly did those 100 rolls of half dollars I searched through yield? As you’d probably expect, the majority of the half dollars were dated 1971, 1972, 1973, 1974, or 1976. In fact, 64.75 percent of them–or 1,295 out of 2,000–were. Clearly, my sorting table was awash with the muted glint of copper-nickel clad. But still I managed to turn my numismatic lemons into analytical lemonade. My attention turned away from the lack of valuable material in those two boxes and swiftly centered on the neat opportunity I had before me: the chance to conduct some empirical research on the average circulation experience of the half dollars I found. How many showed signs of wear? How many didn’t? What was the lowest-grade Kennedy half dollar I found? What does this say about our nation’s half dollar as a circulating denomination? I knew my research wouldn’t be very scientific; I’m looking at just 2,000 half dollars from a single bank in one city, and all the half dollars were presumably around the same time. But I thought it would still be insightful (and fun) to look at these coins from that perspective anyway. Besides, it wouldn’t be the first time I’ve tackled the issue of the half dollar coin and its negligible place in daily commerce. In 2016, I wrote an article entitled “The ‘Other’ Monty Hall Problem: Disappearing Half Dollars”. The piece discusses the incredible infrequency with which 1970s Let’s Make A Deal game show host Monty Hall would find audience members carrying half dollars in their pockets and purses. The gig, as some may recall, would involve Hall offering to trade cash for any unusual items selected guests would have on their person when spontaneously called up from the crowd. 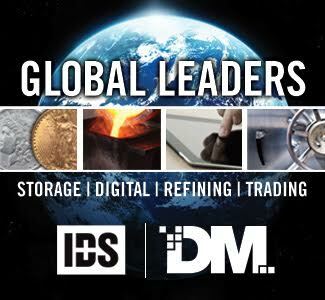 Again, that exchange occurred in 1974 – during the zenith of copper-nickel clad half dollar production. 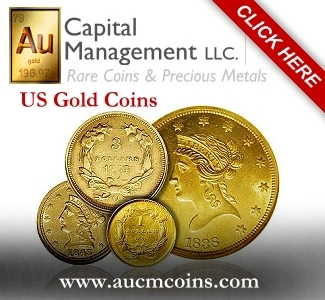 According to the Red Book, more than 280 million half dollars were struck in 1974, and more than 1.1 billion cupro-nickel clad Kennedy halves had been made since 1971, when the metallic composition of the coin was changed from silver to base metal. 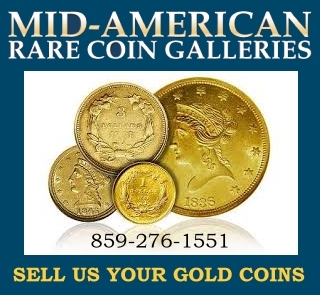 The mid-1970s was a period when, based on mintage numbers, there should have been hundreds of millions of half dollars floating around in pockets and purses across the United States. Yet, Hall was (maybe) accumulating his half dollars in a jar, and the guest (probably) had no idea they were even being made anymore! Of course, this is just one anecdote from a nationally televised game show. Nevertheless, the story illustrates how even in 1974 the Kennedy half dollar was already falling out of use. 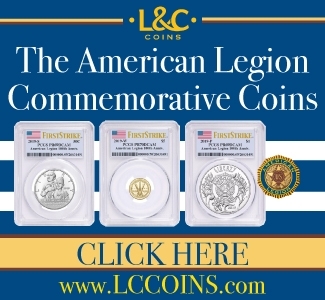 It’s a socio-numismatic phenomenon many trace back to 1964, when President John F. Kennedy was first honored on the half dollar and millions nationwide saved the coin as mementos of the beloved fallen president who had been murdered on November 22, 1963. Public sentimentality over the Kennedy half dollar became culturally engrained within months of the new coin entering circulation in 1964. Before long, the denomination no longer penetrated circulation beyond perhaps a few transactions. 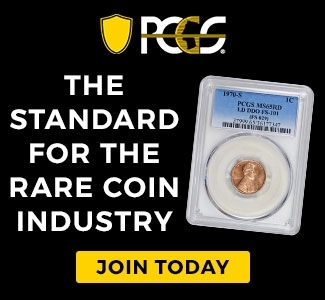 Many people bought the coins at face value from banks and stored them away in jars and dressers, never even giving those coins a chance to survive in circulation. This fact is virtually confirmed in part through my survey of the 2,000 half dollars I searched through. Not surprisingly, I found relatively few Kennedy half dollars that showed real signs of excessive wear. I believe a full one-third of the halves dated from before 1983 could’ve qualified for a technical Uncirculated grade. A clear majority of the latter, post-1983 half dollars appeared to have surfaces unworn by circulation-related handling. 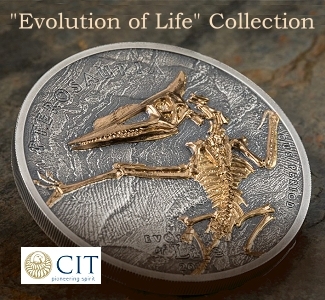 Most of the coins from the early 1980s onward exhibited complete cartwheel luster upon being tilted. This isn’t a mere guesstimate – I actually checked each of the coins for luster, a rather tedious undertaking when dealing with 2,000 coins! 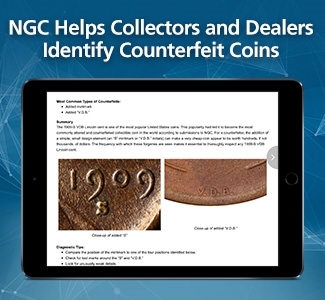 The main problem with these uncirculated halves was that the vast majority of the lustrous coins were smothered with bag marks, nicks and scratches, which made them undesirable for keeping and unsuitable for selling. Of the pre-1983 dates, the year that exhibited the highest overall grade was the 1976 half dollar. This is not surprising, as millions of folks held aside Bicentennial half dollars as keepsakes during and just after their release. Conversely, the dates showing the most wear overall were the 1971 and 1974 halves, followed by 1972 and 1973 half dollars. The remainder of the half dollars I found from the 1970s and those from the early 1980s exhibited roughly equal amounts of wear. Looking at the wear on these coins, particularly those made since the late 1970s or early ’80s, I was left to wonder how many of these coins saw wear through typical circulation versus extensive use in casinos (where half dollars have been most widely used over the last 40 or 50 years). 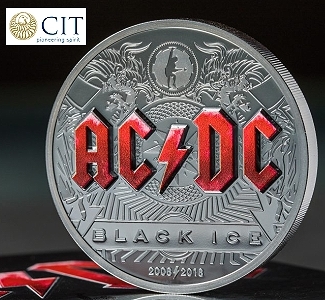 Consistent with that point, many of the latter dates–I’ll say those made after 1980–showed extensive edge wear, suggesting heavy use in casino slot machines. On some of the coins with heavy edge wear, the reeding was completely gone, leaving completely smooth edges. 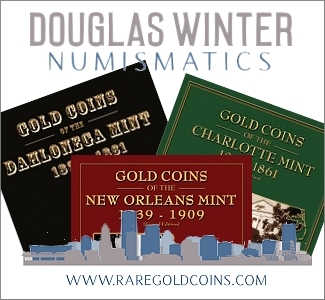 Using Kenneth Bressett’s The Official American Numismatic Association Grading Standards for United States Coins (Whitman) as my reference, I can confidently say that fewer than 100 coins were worn to a grade of less than Extremely Fine. 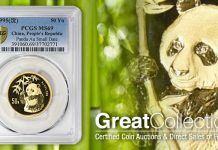 About 10 coins had wear significantly greater than the XF-40 threshold, possibly qualifying for a Very Fine grade – a grade lower than even represented for Kennedy half dollars in the ANA grading standards book! 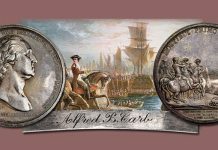 However, that only 10 half dollars out of 2,000 half dollars graded below XF suggests that, even in casinos, most of these coins didn’t circulate very long before winding up in the hands of hobbyists, silver hoarders, or other folks who found value in keeping these coins. Where Did All of My Half Dollars Go? I’ve counted my half dollars, I’ve sorted them, and I’ve scoured them for any unusual errors, varieties, or other oddities. So, what next? Well, it’s time to dump them and move on to the next collecting challenge! 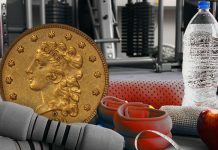 I plan to roll most of my half dollars up and deposit the funds into my bank – and I’ll definitely partake in more roll searching in the days, weeks and months ahead. But in addition to roll searching, isn’t it fun to also spend half dollars? I certainly think so, and that’s exactly what I’ve done. The best part of spending half dollars in daily shopping and dining is seeing the look of confusion, sometimes curiosity, on the faces of younger cashiers who see a half dollar (sometimes several) pop up during a cash transaction. My favorite such case so far occurred at my local Dunkin’ Donuts drive-through. I placed a $7.78 drive-through order with a young woman who I venture to say was about 22. I nonchalantly handed her the 16 half dollars and was quite amused sitting in my car as I looked into the drive-through window and watched her look at the coins for about eight seconds and then in a hushed tone gesture toward the baker a few feet away who must’ve been no more than 25. The baker walked over to the cashier and looked in the palm of her hands. “Are these dollars?” I heard her quietly ask the baker. “Nah, they’re fifty-cent pieces,” he assured her. “Well where do I put them in here?” she asked, pointing at her till. “Just put ’em at the bottom,” he suggested. A few moments later, the cashier handed me 22 cents in change and then passed me my two coffees and the chicken biscuit sandwich I ordered. She smiled at me throughout the rest of the transaction very kindly. Apparently, she probably thought I was either peculiarly cute or downright weird, though I’m pretty sure it was the latter. My experience at Wawa food market was similar. After ordering a cup of coffee, I walked up to pay for my order and handed the sales associate, another woman in her early 20s, five half dollars and three quarters to pay for my $3.21 (with tax) cup of café con leche. She counted the halves, picking through each one as she carefully inspected the reverses of each coin. “These are half dollars, right?” She asked. “Yep! Betcha you don’t see these everyday, huh?” I knowingly remarked. “Nope!” She chuckled. “And I don’t have a place in my drawer for them, either,” she laughed as she tossed them into the bottom of her cash drawer. I’ve dropped some half dollars for tithing purposes at church, too. I peppered some offertory envelopes with them, and I’ve dropped a few as donations when lighting votive candles. Though seemingly a quiet way to disperse half dollars, I wonder if using half dollars at church has really been without consequence. I surely have been stubbing my toes a lot more lately. Maybe I’m a bit clumsier these days. Or perhaps God is a bit peeved because He doesn’t have a half dollar slot in His till, either. I’m willing to say I was essentially skunked on those two boxes of half dollars. 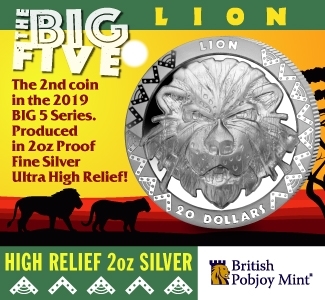 In my opinion, one 40 percent silver half, three clad Proofs, and a dozen or so post-2001 collector-only business strikes really don’t make for a good take from two boxes of half dollars. Then again, I didn’t exactly finish empty-handed. The job entailed about 14 hours of labor opening rolls, counting, sorting and inspecting each coin. I’d especially like to give a huge shout out to my girlfriend Jeanine for willingly help me sort the unrolled half dollars by date! At the very least, I finally got to search through boxes of half dollars, just as I had wanted to do for many years. I may not have scored a full “10” with my finds, but I nevertheless had an excellent time looking through all of those rolls. I’m not discouraged – far from it. I’ll be ordering another box of half dollars soon. 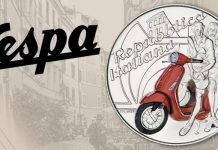 The journey is part of why we coin collectors do what we do. 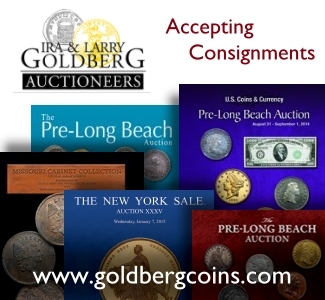 Whether seeking coins for our collections through circulation, from coin dealers or at fancy auctions, it’s not always easy to find what we want. 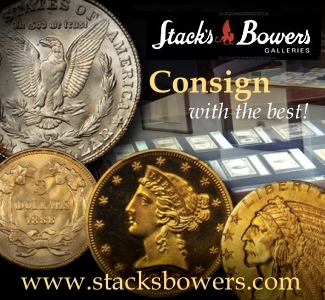 Yet the thrill, the adventure, in tracking down the coins we want and the victorious moments when we finally find them–whether in coin rolls, dealer inventories, or auction catalogs–are sensations every collector loves, and deserves, to know. Years ago it was quite common to go into a Bank and get a roll of Half Dollars and now they never have them and just have occasionally 1 or 2 half Dollars. Years ago I used to get half Dollar rolls all the time and often found at least one 40% silver clad Kennedy half and sometimes a 1964 Kennedy. One time I bought a roll from a bank and inside the roll was two Franklin halves and one 1964 Kennedy Half and a few 40% silver halves. I noticed looking through the dates of all the half dollars that none were dated after 1985 so this roll had been sitting in a bank for over 30 years unopened. A lot of times for fun I would buy a roll of half Dollars and go out and spend them and look at the faces of the cashiers especially the young cashiers as most have never seen a half dollar. One time I spent one in a Chinese restaurant cashiers were looking at the half Dollar all excited because they never seen a half dollar before. 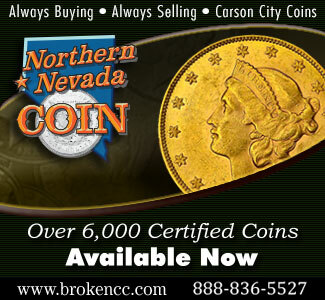 I am a life long coin collector of over 50 years. I have bought half dollars from banks in small towns for the past ten years. I usually have to ask them to go back to the vault and check after they tell me they only have two or three in their cash drawer. When I started I would usually find one or two 64’s and several 65’s thru 69’s. However lately this has become much rarer. I use the bulk of these coins for bridge tolls. I get some strange looks when I incounter a new toll collector. I bought 2 rolls of half dollars at a bank in Riverside, CA & in 1 roll found a 1969 D in AU condition. Totally worth it! At another bank in another city in Riverside County I asked for half dollars & they sold me 2 half dollar coins individually. 1 of them was a 2003 D.
I recently found a gold half dollar with the three dates what is it’s value ? 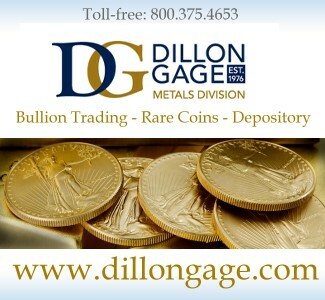 It’s also worth mentioning that copper is a harder metal than silver (and gold), which is why silver and gold coins have 10 percent copper – a 100% silver or gold coin would wear very easily. 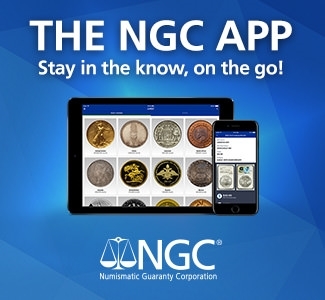 Nickel is one of the hardest metals, which is why the modern copper-nickel clad coins show little wear, even after years of circulation. While copper-nickel 1970s half dollars show very little wear today, half dollars from the 1940s – which circulated for perhaps 15 – 25 years before 90% silver coins disappeared from circulation – often show very heavy wear, with parts of the coin unreadable. I agree, this is fun. However, the banks have caught on and refuse to take them back after you take like three coins out of the 1000 coins they had to order for you and then recount them and send back. 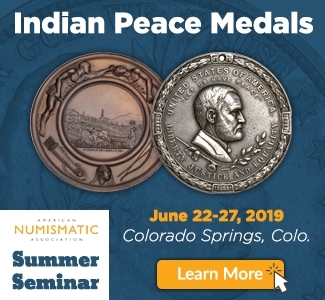 A friend of mine,passioned numismatist since the late 1960s,has got my interest for this quite fascinating hobby,due to his recapitulations when something coin-related comes up.While Mid-WW1&WW2coins(usually quite worn)of lower denomination seemingly were relatively often encountered then,Halves were not. So on a car-ride to a Florida vacation 1972,when stopping in Alexandria,VA,he by a hunch went into a quaint looking bank,and asked if they had some Half Dollars.”How many do you need?”the cashier asked opening a drawer revealing dozens of rolls in dullish brown wrapping.Not having too much money along,he embarrassed handed over a $10 bill just for one roll. His surprise was great,opening it much later,as all were heavily circulated Walking Liberty-yes,ALL!-from common 1940s years,while he had specifically got the roll to get a 1964-Kennedy in nice condition as a souvenir! Well,that was then,before many cashiers got a really good fringe benefit by putting away such coins at face value,and then peddle them to merchants,specialized in buying those in bulk.Both then got a decent profit.May explain why most disappeared already in the 1970s! PS: Maybe this site,that my friend told me was quite a bulky paper issue in the early 1970s,could re-print some of their then articles”Historic backlook”,on rel.topics. He told me about an article about people handling coins in the work,and finding quite amazing stuff,like a rarer Roman coin instead of a Penny,and that guy who,after many years and millions of Pennies,finally got the last,the SVD-B.Probably best:Definitely not a Chinese version….! The question “Did half dollars circulate?” is really a two-parter. Did KENNEDY halves circulate? The answer there is a general No. But if you go back to 1963 and before, the answer is a very definite Yes. As a child growing up in the late 1950s and early 1960s I was able to assemble a nearly-complete set of Franklins and perhaps a 2/3 complete set of Walkers simply by combing a few retail sources: my mother’s change purse, the cash register in my grandfather’s store, and – for one glorious stretch in 6th grade – the school cafeteria’s daily “take” (which required more than a bit of finagling with the school’s principal!) . Anecdotally at least, it was also not unusual to see references to halves in popular culture as well. That changed almost overnight when both the Kennedy design was adopted and silver prices soared. In retrospect the Mint made two massive blunders, first by not resuming the Franklin design in 1965 and second by making the blindingly incorrect decision to reposition the half as a “prestige” coin that would continue to contain silver, albeit in debased content. As we all know (or remember), nearly every 1964 half vanished as mementos to the fallen president. 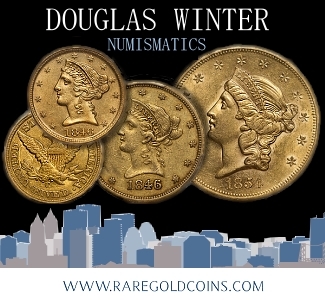 However the continued use of both that design and silver metal caused later-dated halves to be hoovered out of circulation as well, especially when the Hunt brothers speculations pushed silver to the $50/oz range. Within a few years people became accustomed to using multiple quarters for transactions where they once would have reached for a half dollar. When the Mint finally came to its bureaucratic senses and switched the half to standard cupronickel clad composition, it was too late. Too many people had, like the contestant on Let’s Made a Deal, come to the erroneous conclusions that halves either were no longer being made or all still contained silver, effectively dooming the denomination. Unfortunately given the lack of political will to take even reasonable steps to deal with the cent and dollar bill, the chances of seeing a new circulating half are probably less than zero. I hate to tell you this, but the odds of getting SILVER half dollars is almost nil. Many years ago, the COINS STAR machines that took your change and charged you 11.9 cents per 1.00 to do this for you accepted ALL U.S.A. coins. Now, the coins start machines REJECT silver coins and they go in the reject bin that you have to collect. The same with the machines at the Federal Reserve. They get millions of coins that they auto roll. 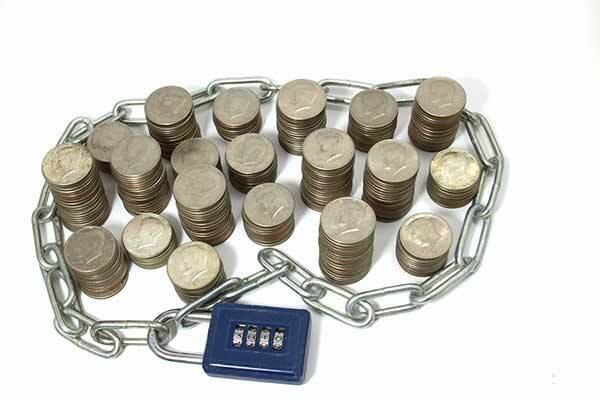 SILVER coins are rejected and the mint takes those coins, and they do not go back out. The Mint Sorters go through them, and I bet a million dollars, they keep the VALUABLE Silver coins. Hence, all boxes of half dollars, for example that go back out to banks will not have anything of value for the coin collector. Now, if you go to a old, hick town, you MAY find a box of half dollars that was distributed before the new machines sorted them, but that is going to be rare. Old Hick towns do now like a box of half dollars collecting dust in their vault either. Hi does anyone know the value of 1964 Kennedy half dollar roll with enhanced hair?